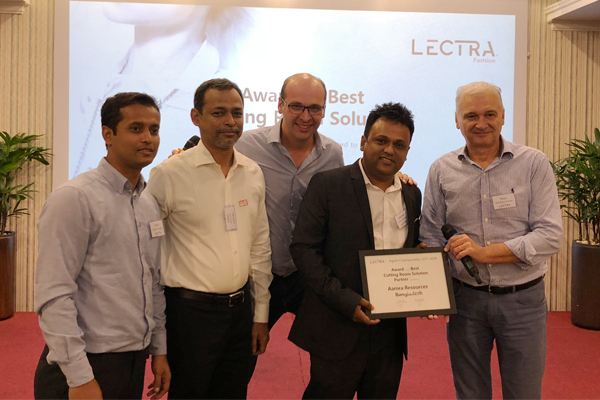 aamra resource limited, one of the pioneers of Bangladesh’s Textile and Apparel industry, is recently acknowledged as the “Best Partner for Software Business Development” and “Best Cutting Room Solution Partner” by Lectra. aamra has been recognized at the “Agents Kick Off” event organized by Lectra held in Ho Chi Min city in Vietnam on 23rd January 2018. The event was organized exclusively for Lectra agents and subsidiaries from all over the world to discuss about the business and strategic plan. Sohel Ahmed, Chief Operating Officer of aamra resources limited (ARL), received the awards on behalf of aamra family. These acknowledgements recognize and honor Lectra partners worldwide that have demonstrated business excellence in delivering exceptional solutions over the past years.